Martin Roberts, Dion Dublin and Martel Maxwell meet the developers who have purchased homes in Epsom in Surrey, Wolverhampton and Ashton in Cornwall. A husband-and-wife team add sparkle to a three-bedroom flat in Epsom in Surrey, a niece and aunt team up to refurbish a house in Wolverhampton and a semi-retired man buys a bungalow in Ashton in Cornwall to be near his brother. 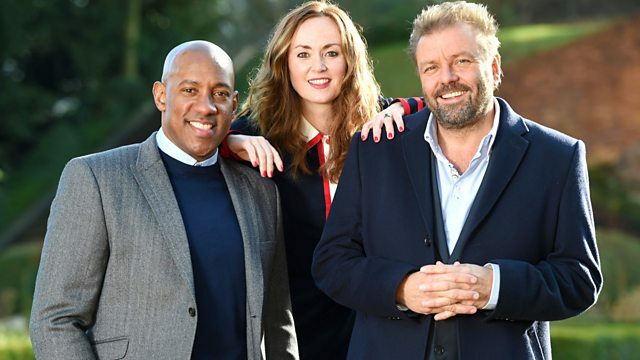 Martin Roberts, Dion Dublin and Martel Maxwell talk to the developers and hear their plans to see what they want to do with their homes bought under the hammer.